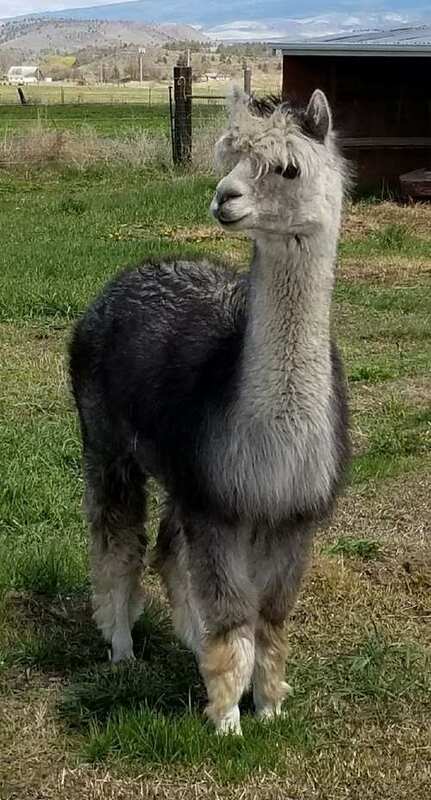 Rocket now has 6 crias under his belt. 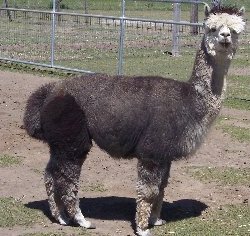 June 3, 2010 "Sterling Silver's Abagail"..is a beautiful med brown/ white!! Sept 16, 2010 "Sterling Silver's Midge" .. is a beautiful grey/white girl!!!. May 2014 "Sterling Silver Shadow"...a beautiful grey/white!! ATTENTION!! Notice on Cumbia's Registration that she is a product of two LSG Imports!!! Its in Cumbia's blood to produce the silver grays if that is what you are looking for. 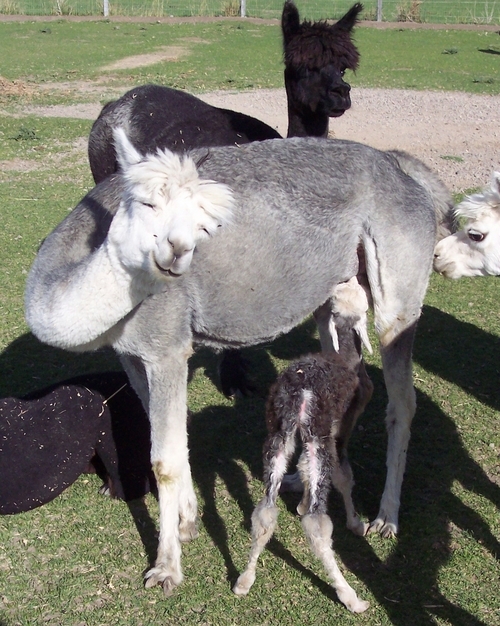 Cumbia has been an awesome Champion Cria producer and still going. 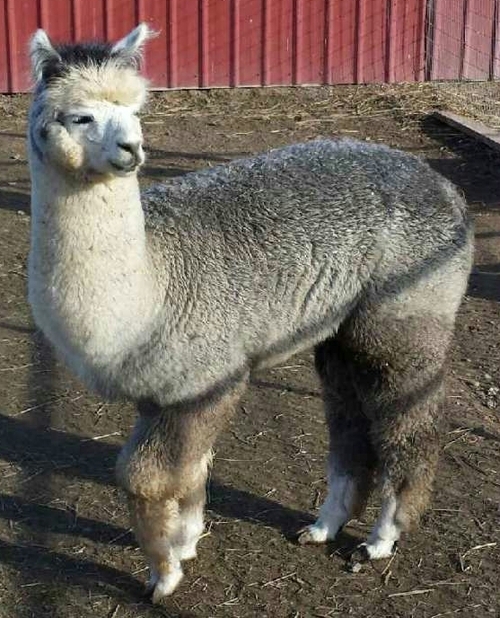 She has an outstanding record for producing winning Champion and Reserve Champions as well as Blue Ribbon and other Ribbon crias. Midge is an unregistered female. 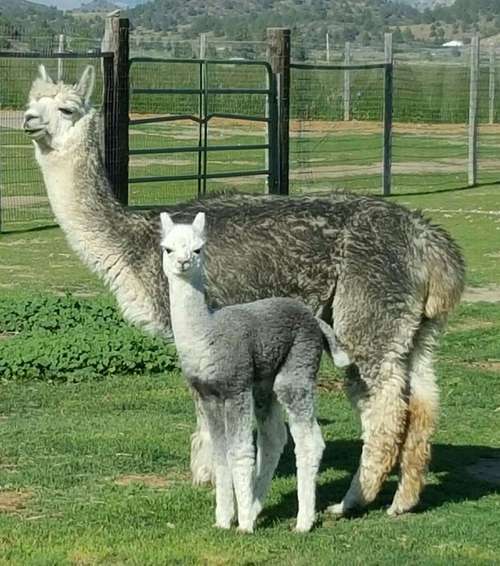 She is almost a solid silver gray w/ white markings. Extremely soft FINE fleece. Nice density and fine crimp. 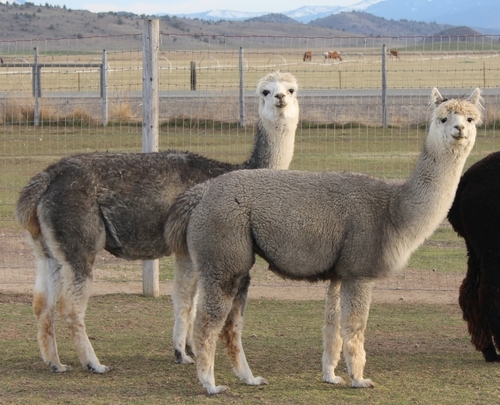 She is a jewel friendly, calm, easy to handle and has remarkable fleece. Midge looks like a twin to her Mother. She so wants to become a Mother.. let her Bless your herd with her awesome bloodlines. Her Price will be going up soon! !